All of us are building something in this game, but what foundations are we dropping down first? The start of the year is a good time to think broadly about what you want out of the coming 12 months and this is why I always lay down an Annual Theme for things first. 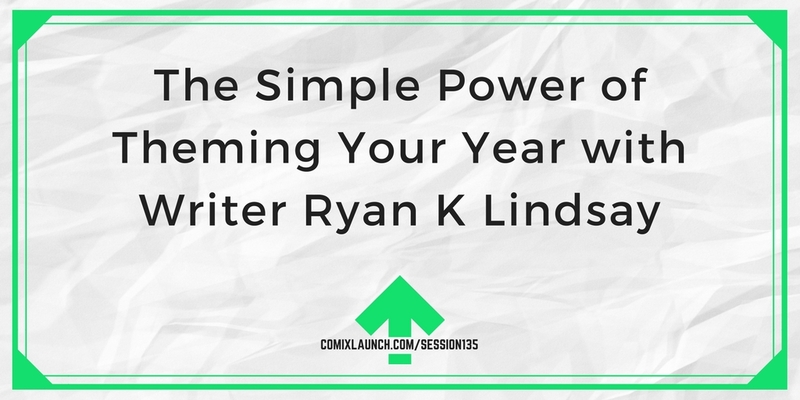 In this session, Ryan K Lindsay unpacks what an Annual Theme is, how it can build clarity for your mind, and what avenues it might help you explore. Annual Themes explained, and why they will matter to you? Ryan takes you through his last 4 Annual Themes and what they mean to him. Analysing other pros through the Thematic Prism: How would you describe the journey of others? Knuckling down in 2018: How to choose your theme and what to do with it? My guest today is the acclaimed writer of Eternal from Black Mask Studios, as well as Beautiful Canvas, Negative Space from Dark Horse, and many other outstanding comic titles, including the ComixTribe mini-series, CHUM. When you think about the year you want to have, what words come to mind? If you had to choose just one… what would it be? 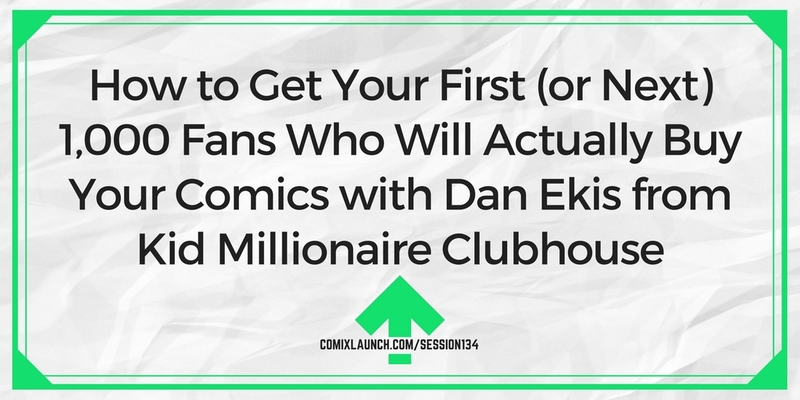 Independent comic creator Dan Ekis shares how you can get your next 1000 followers who will pay for your comics. 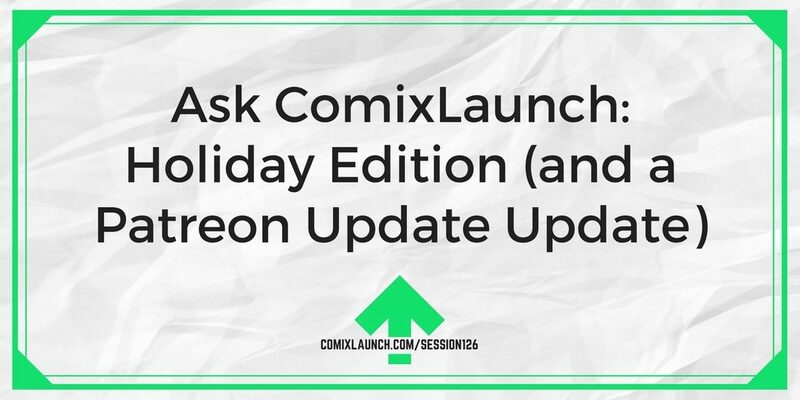 How to get your next paying customer in the next 7 days even if you don’t have a comic to sell yet. 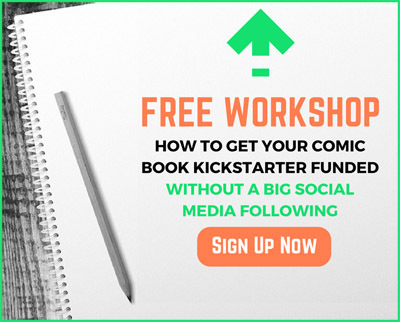 How you can build a following that will pay for your comics (and save time doing it). How Dan grew his email newsletter from 0 to 1000+ subscribers in a few short months. How Dan got over 200 real followers overnight without spending a dime. Dan Ekis an independent animator and illustrator, and creator of the upcoming fantasy comic Soul of the World. He also hosts the Kid Millionaire Clubhouse on Facebook, and Kid Millionaire Chats with comic creators. Test one new strategy for growing your following? Pick one platform. One strategy. Set a time limit. See what happens. And tell ME (or your audience) the results. 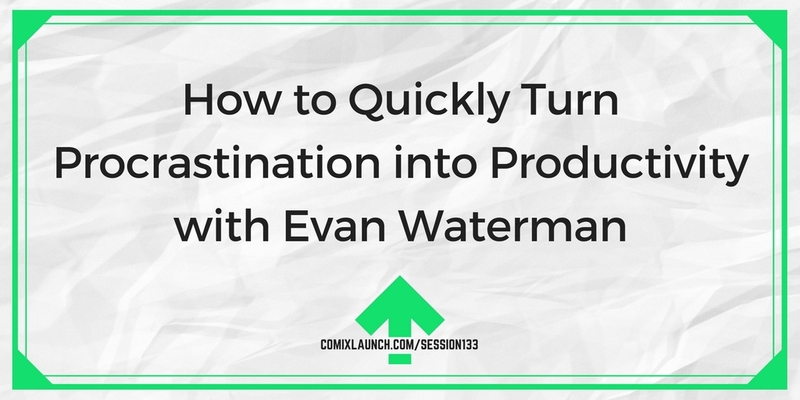 In this guest lesson, comic creator Evan Waterman shares 5 proven tips that will help you turn procrastination into productivity so you can get more done this year and take your creative career to new heights. How to identify the causes of procrastination and cut them out of your life. How to train your brain to know it’s time to get to work. Tools and strategies to crush distractions and get more done. Plus: Why adding urgency to your work is a key to creating more. Evan Waterman is a comic book writer and letterer and the creator of the comic book series “More Than Men” a series that asks the question, what if only the rich had superpowers? What are you procrastinating on RIGHT now? What is it costing you NOW? Would could it cost you in the future? What’s one TINY action you could do TODAY that would move you closer to getting it done? You can follow Evan on Twitter @Evan_Waterman. Does your entire creative career feel like a struggle? 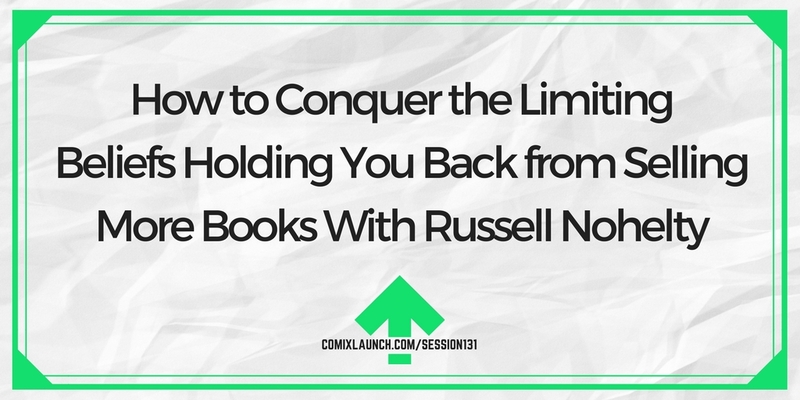 Do you constantly feel like no matter how hard you work, you’ll never measure up? 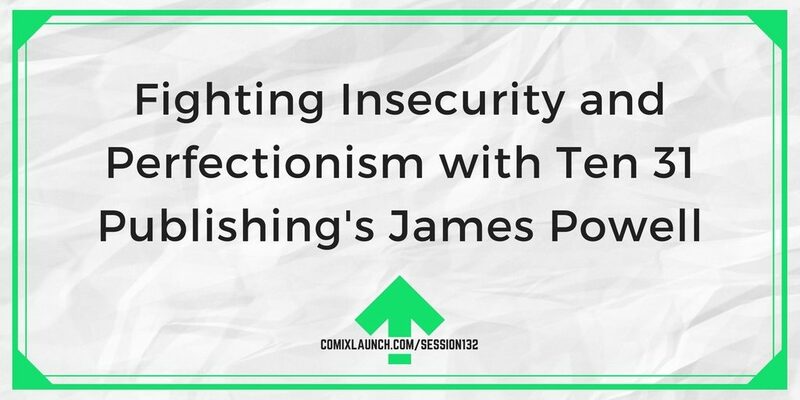 In this session of ComixLaunch, writer and editor James Powell (Ten31 Publishing) opens up about his own struggles with creative insecurity and how he’s fought back against them. How the pressures put on ourselves to be great can be the very thing that’s holding back greatness. Is suffering for our art really necessary? Juggling your creative life with life life. James Powell is the creator of House of Fear and Ten31 Publishing, which specializes in scary comics for kids. He’s a writer, journalist and editor whose work has been published by Image and Dark Horse. What is ONE negative thing you often say to yourself that you’d like to eliminate forever?When that thought occurs, what’s a NEW, BETTER thought you can immediately replace it with? Check out ten31publishing.com for Scary Comics for Kids with the House of Fear series. It’s a new year and that usually means new resolutions and big goals for creative entrepreneurs. In this session, Tyler shares some actionable tips for making yours rock solid in 2018. Why this is the LAST training show for Tyler (for a while) and what you’ll be hearing on the podcast each week instead? 6 keys to finally sticking with your goals & forming winning habits in the new year. One surprising (and easy) element you can add to any goal, habit or resolution that makes it significantly more likely to succeed. 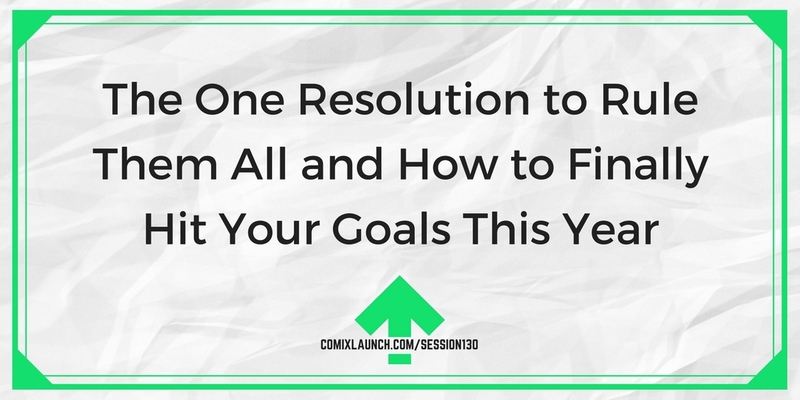 Plus: I’ll share the single resolution I believe makes any and all resolutions, habits or goals more likely to be accomplished. Write down ONE outcome based goal and ONE related performance based or habit goal you have this year. Put it someplace you’ll see it every day. How can you make it more fun? 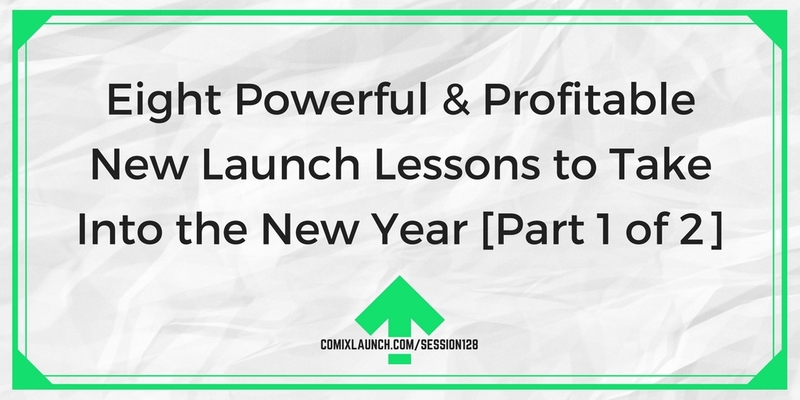 To kick off the new year, Tyler shares four more of big and profitable lessons learned from the many successful launches he ran in 2017. 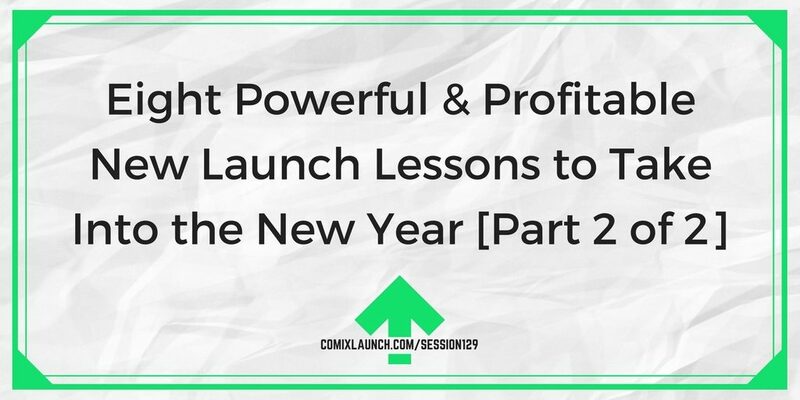 Plus, you’ll hear some of the biggest launch lessons of ComixLaunch listeners. One simple tip for making emailing your list easier and more engaging. Why one and done is one and dumb. The power of cloning yourself. Plus: Why BIG launches are NOT my goal in 2018. What would you do to help your creative career if you had 2 extra hours in the day? What are some things that you know you should be doing, but just never seem to get to? What stuff that’s important, but never urgent? What are you procrastinating on or what do you hate doing or aren’t great at doing?